Missy Johnston is dedicated to offering you the best in crewed yacht charters worldwide. She knows the charter experience from bottom to top, having first started as charter crew in 1982, moving on to be a charter broker in 1988 with Northrop – Johnson, Newport, and now, since 1997, as Owner & President of Northrop – Johnson Yacht Charters in Newport, Rhode Island. Thanks to her college degree in architectural history, Missy is also our expert for any cruise destination with a rich architectural, archaeological or cultural heritage, such as the Turkish coast. She can help organize the most fascinating excursions and provide the best guides for these historic areas. She also knows the behind-the-scenes aspects of a crewed charter, including the complexities of international contracts and regulations, and the ins and outs of supplying food, drink and other amenities on board even in remote cruising destinations. She makes sure that she and her team take care of all these details and many more for your perfect charter. Missy travels widely every year, to scout new charter yachts and cruise locations, and to revisit well-known yachts, crews, and itinerary locations. She has the details of all our cruising choices at her fingertips, so she can tailor your charter experience to meet your budget, your needs, and your dreams. Each recommendation she makes is based on her first-hand knowledge or research, and she will never offer you a charter unless she is confident it’s the one you’re looking for. 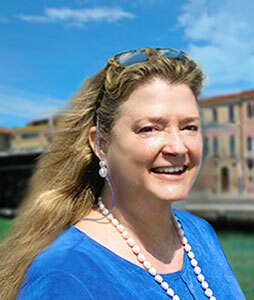 As well as being a premier charter broker, Missy has been a leader in the yacht charter industry. She helped write and shape the Passenger Vessel Safety Act of 1995 and worked with the Coast Guard and Congressional committees on the drafting and passage of this important law. Missy has been a member since 1991 of the American Yacht Charter Association, where she has served as President, Vice-President, and Secretary. As President, she worked extensively on charter contracts, to bring American and international charter contracts into sync for yachts sailing under different flags. This helps ensure that the paperwork for your international charter rests on a firm legal foundation. She is also a member of the Mediterranean Yacht Brokers Association, and has served on other worldwide yacht charter industry committees. Her goal is always to make sure the charters we offer excel in quality, service, safety, and value.